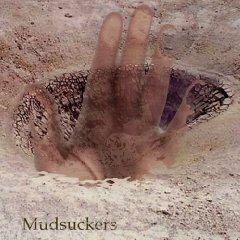 The Mudsuckers were a collaboration between The Charlambide’s Tom Carter, experimental musician Robert Horton and GMS of Yellow Swans. I’ve owned this for a couple of years and bought it primarily on the Yellow Swans collection because I am a Yellow Swans nerd – end of story. For the most part this is on the same noise dimension as a Yellow Swans record but have you ever wondered what Sonic Youth’s Death Valley 69 would have sounded like if Mouthus and Yellow Swans covered it and removed all the tune. I hadn’t, but when listening to the extremely fine opening track Endocrine Disrupters, that whole desert gothic, no wave vibe gurgles under the layers of distortion and drone to produce something very special indeed. Although nothing else quite reaches magnificent heights of the opener, the remaining four tracks are great examples of improvised noise and processed field recordings. Mudsuckers is one of those great noise records that rewards with repeated listens because I guarantee that every time you listen to this you’ll hear something new. Remarkable. This entry was posted on February 8, 2010 at 8:32 pm and is filed under Mudsuckers, Music, noise, yellow swans with tags Drone, Mudsuckers, Music, noise, yellow swans. You can follow any responses to this entry through the RSS 2.0 feed. You can leave a response, or trackback from your own site.